So, I just want to say that I love my crock pot. As an independent young woman I don't always have the time or energy to make dinner when I come home from work. On days when I know I'm going to be tempted to stop for fast food on the ay home, eat popcorn for dinner, or worse go to bed without eating I try to spend a few minutes putting something together for the crock pot. Though, there are many days when I work 12+ hours so I come home on my lunch break to turn on the crock pot, that way I know that my dinner will be done, but not overdone. 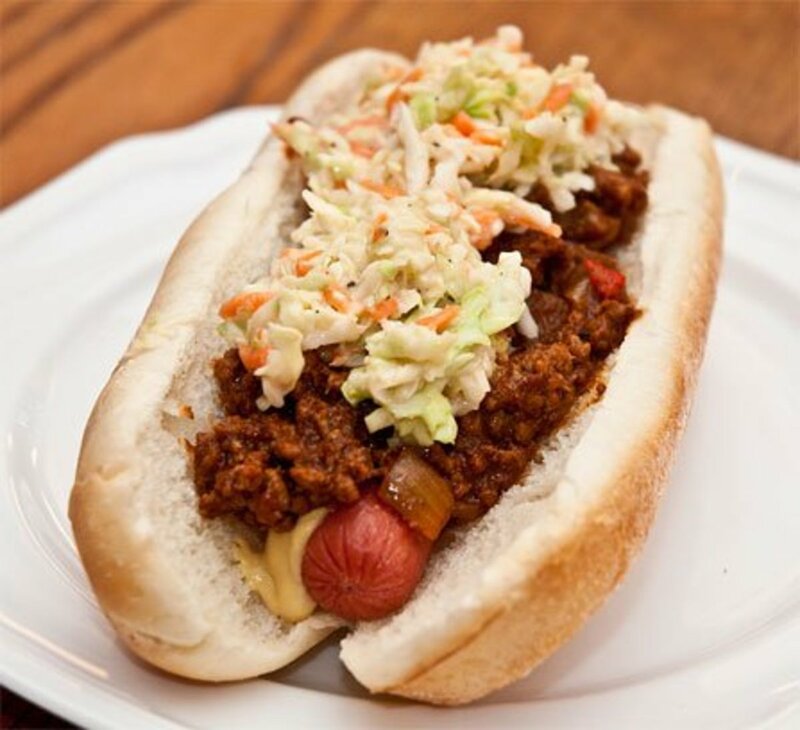 I'm always on the lookout for a new crock pot meal. But, its hard to scale things down sometimes since I am only one person and my crock pot is only a quart. With such a small crock pot I am limited in what I can make. That being said, I also don't want a bunch of leftovers that I know I will be tired of after a few days. So, my little crock pot is just right for me. 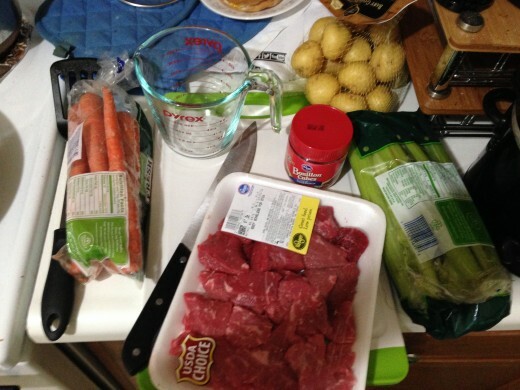 Beef stew is one of my favorite fall meals. 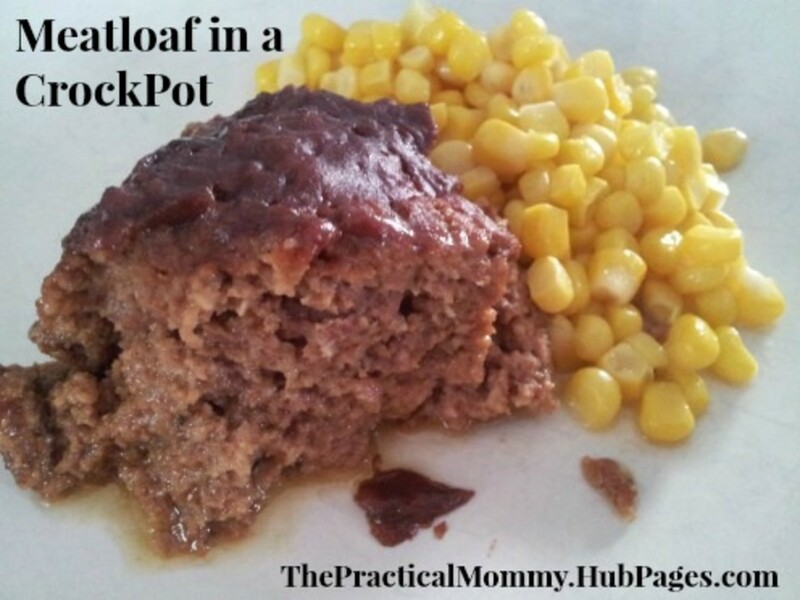 It can be a little tricky to make in a small crock pot. The packets at the store make a broth that is too strong for a one quart crock pot, not to mention the broth is very salty. There is another option. Beef bouillon cubes are easy to use and quite flavorful. One cube makes one cup of broth. Simply dissolve the cube in hot water and you have instant broth. 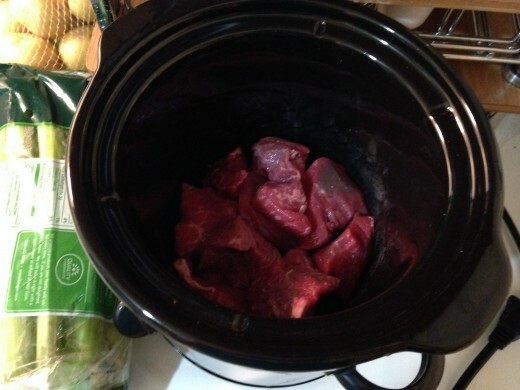 The first thing I did was put my stew meat in the crock pot. I simple took half of a one pound pack of stew meat. The other half I put in the freezer to make stew again later. I then cleaned and cut up my potatoes. 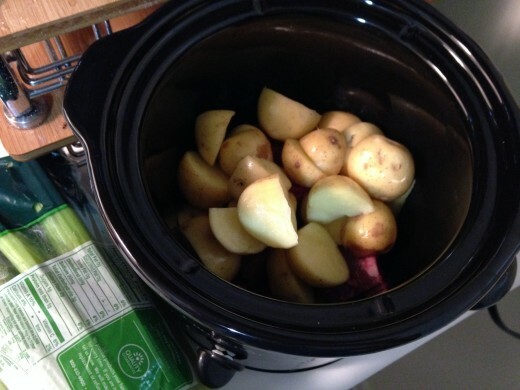 I am a fan of smaller potatoes for my crock pot. Some I cut in half and other I cut into quarters. Add to crock pot. I then cleaned, pealed, and chopped my carrots. I carried the size of the carrots so that I had some big and some small pieces. Add to crock pot. The celery was next. It took a little while to make sure it was clean. 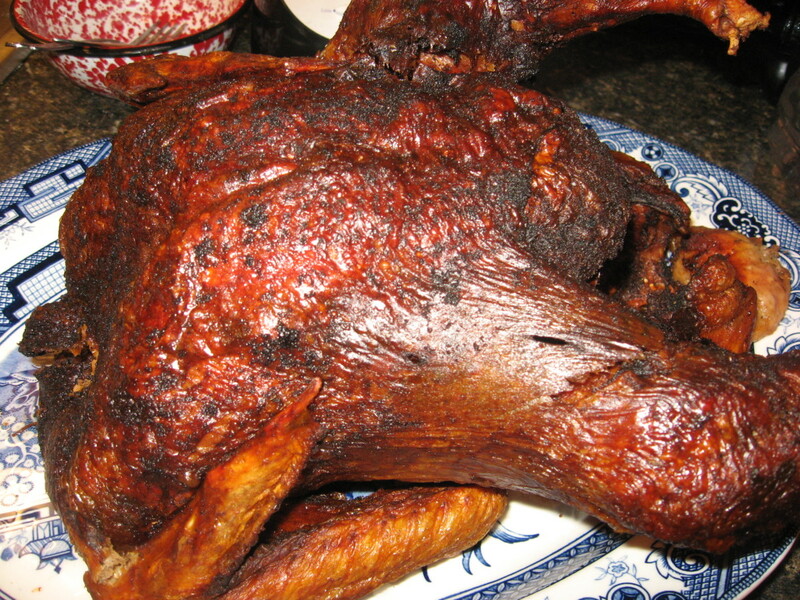 I then chopped it and put it in the crock pot. I then heated the water in the microwave. That way the bouillon cubes would dissolve. 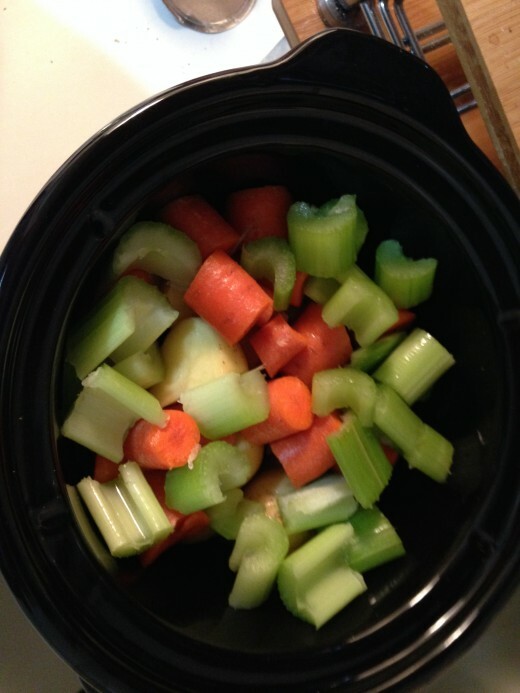 After making sure the cubes were dissolved I poured it over the meat and veggies in the crock pot. Cover and set the crock pot to low. Let it do its thing for eight hours. Stew meat at the bottom of the crock pot. Halved and quartered potatoes on top the stew meat. 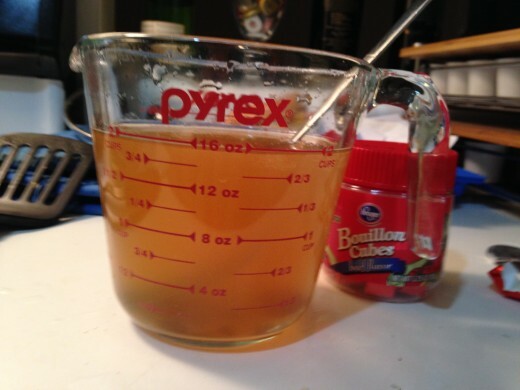 Two beef bouillon cubes dissolved in water. 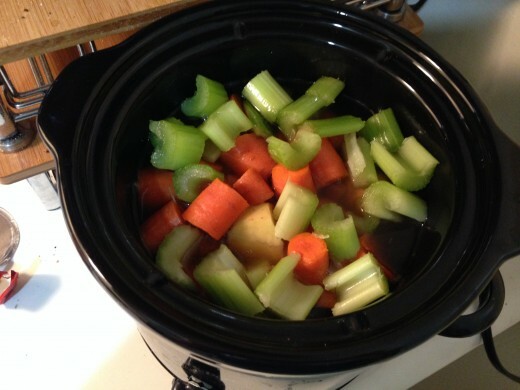 Pour the broth over the meat and veggies, cover and set the crock pot to low. Come back in eight hours for a declines meal. 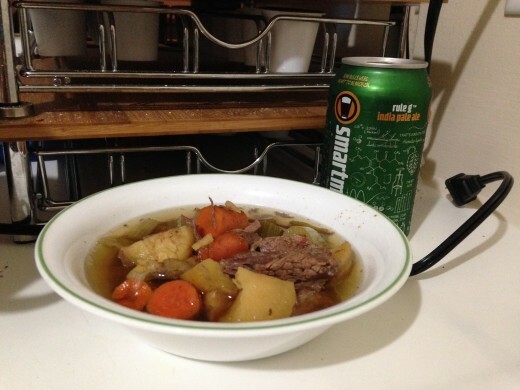 Beef stew and a beer. A great way to end a long day at work on a chilly fall day. Beef stew is one of my favorites. Just throw everything in the crock pot and come back later. Its as easy as that. 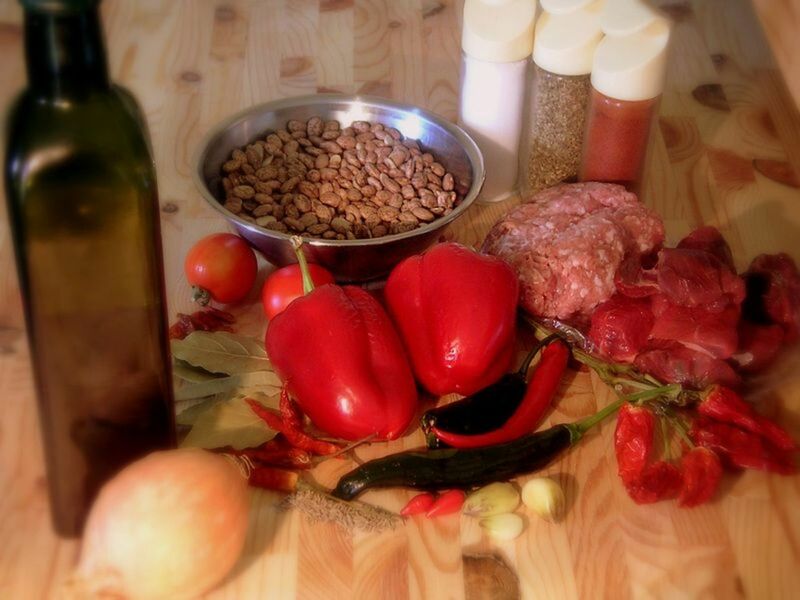 It is perfect for a chilly fall day, and is a feel good meal after a long day. I liked using the bouillon cubes for my stew. I'm sure there is a lot of salt in them, but the stew didn't taste salty. I didn't mind that the broth wasn't very thick, I almost liked it better that way. I think the next time I make it I will have some cornbread with it. 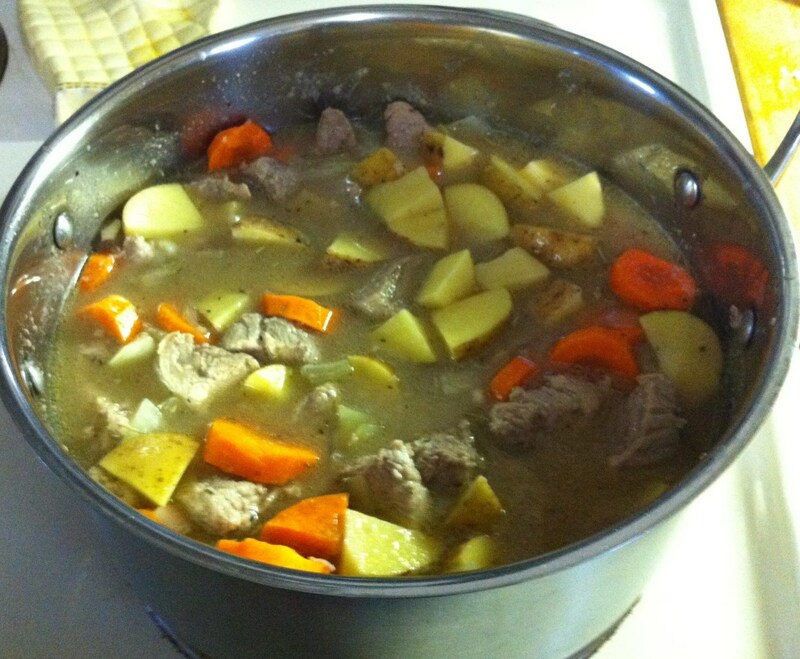 While stew alone is filling, it doesn't quite make a meal by itself.